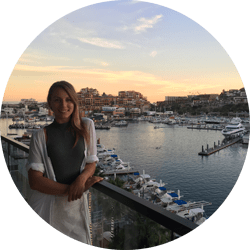 Welcome to our newest blog segment about getting to know our staff here at Liz Moore Destination Weddings, we call it Meet the Team! Every week we will showcase a member of our staff so you can get to know us a little better. If you have any further questions about one of our staff members you can ask us on our chat feature or send us an email! If you have booked with Tammy Tkachuk, make sure you leave a comment on one of social media platforms. We love to hear your feedback! Did you always have a passion for weddings or planning them? Not always, I had my own destination wedding, which inspired me to get into this business. If you were going to have a Destination Wedding (or have already had one) where would it be? Well my wedding was in the Riviera Maya, which was a great location! Have fun in the planning process and trust that the people in destination will have it all taken care of for you! And it will be AMAZING! Is there anything to avoid when booking a Destination Wedding? Try to avoid worrying and stressing out too much, you are in great hands! That’s our Tammy! Josh and Carly Bennett are only one of many weddings that Tammy has booked with us. If you had a great experience with Tammy T, make sure you let us know on our social media pages, we love to hear it! Give us an email for any other questions about Tammy or Liz Moore Destination Weddings. Tune in next week for another addition to our Meet the Team blog segment!